It’s a common question. “What is the best way to quit smoking?”. The answer, is hypnotherapy. Hypnotherapy is a form of psychotherapy that is used to stimulate change in a patient during a state of trance, known as hypnosis. The word comes from the Greek word “hypnos” which translates to “sleep”. For many the thought of hypnotherapy can be confronting or confusing, but the truth is, hypnotherapy is a tried and tested method that has improved countless lives and has been used, medically, since 1770. Hypnotherapy for smoking takes this process a step further, accessing your subconscious mind and facilitating healthy behavioural shifts, and has been scientifically proven as one of the best ways to quit smoking. What is hypnosis? If you’ve ever seen a hypnotist on stage making people act like chickens you probably have an idea of what hypnotism is already. We’re here to tell you that there’s a whole other side to hypnosis. In the health and wellbeing world, hypnosis is a genuine psychological phenomenon used extensively in clinical practice. 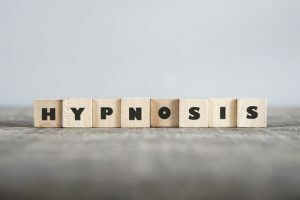 Hypnosis is a state of highly focused attention, achieved via relaxation, where positive suggestions continue to manifest once the trance ends, allowing you to take new ways of thinking with you long after the session ends. “Does Hypnotherapy work?” This is one of the most common questions we get. In short – yes. Hypnotherapy relies on the will of the individual. If you truly want to quit smoking and improve your life then hypnotherapy will aid in that goal. This means you won’t be hypnotised if you don’t want to. But it also means you are your own champion when it comes to kickstarting your quitting goals. How awesome is that? Let’s squash some common myths and misconceptions right now. You cannot be forced to do anything you don’t want to do. Just like you cannot get ‘stuck’ in a state of hypnosis. On the contrary, hypnosis is one of the best ways to stop smoking while being in a safe, relaxing and ultimately enjoyable experience. 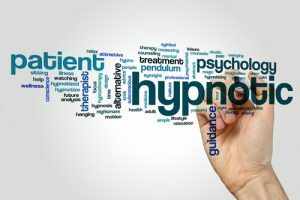 Will Hypnotherapy work for me? Yes! Hypnosis is a proven method to introduce positive change to your life. Bad habits and destructive tendencies live in your subconscious. Through accessing that unconscious mind via hypnosis we can help you transition into a healthier lifestyle and return control to your waking mind. Quitting smoking is just a session away. It starts with us, and ends with you. Quitting smoking is a challenge. You’ve probably tried to quit smoking on several occasions and now feel frustrated and out of ideas. That’s where we come in. We welcome those with a natural hesitation. We like people who are skeptical! And those asking, “what is hypnotherapy and how can it help me?”. 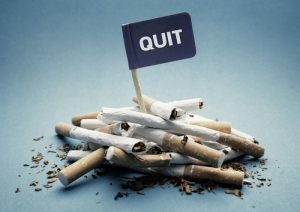 Using our unique approach, combining the best of traditional hypnotherapy techniques with cutting edge smoking cessation hypnosis psychology, we transfer the pleasure you felt from smoking to a healthier habit of breathing fresh air. That’s our commitment to you. It only takes 60 minutes to turn the pages of your life to a new chapter and become a better, healthier you so call us now on 1300 64 53 54 or book an appointment today.